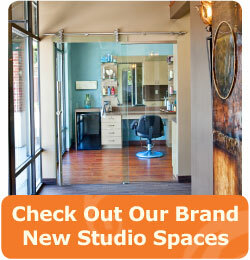 Lease your own individual private, secure studio today and let us help you REimagine your salon experience. Your dream of owning your own salon is now within reach. Aria Salon Studios is a unique salon concept created by beauty professionals for beauty professionals like you. Welcome! Opened Summer 2013 in Boardman, OH, Aria Salon Studios is the first of its kind in our community and offers a stress-free, private and personalized salon/spa experience. Aria is comprised of 18 fully furnished, modern studios offering unique amenities for hair stylists, nail technicians, estheticians and massage therapists aspiring to create the most memorable experience for professionals and their clients. All you need to bring are your clients, your personal tools and your ambition to create a space to call your own. You really can afford to start your new career here. Aria provides a supportive, professional environment where different beauty professionals can operate a variety of businesses, building the ultimate health and beauty community all under one roof. No other salon/spa in our area can assist in making your entrepreneurial dreams come true like Aria.